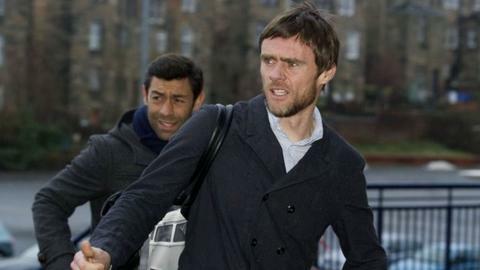 Kilmarnock are set to interview former Scotland international Graham Alexander for the vacant manager's job within the next 24 hours. Discussions have already taken place with former Huddersfield, Birmingham and Blackpool manager Lee Clark and former Swindon boss Mark Cooper. Former Motherwell midfielder Simo Valakari is a target, but has signed an extended contract at Finnish club SJK. However, talks have cooled with former Nottingham Forest manager Billy Davies. It follows the resignation of Gary Locke with the Rugby Park side second bottom of the Premiership. Alexander, who was capped 40 times for Scotland, was manager of Fleetwood Town until September last year. The 44 year-old guided the club to promotion in 2013/14 via the English League Two play-offs, but he was sacked after a poor start to the 2015/16 season in League One. The former Scunthorpe, Luton and Burnley defender also had two spells at Preston North End where he became Head of Youth Development 2012.